I saw many beautiful window screens last year in China. 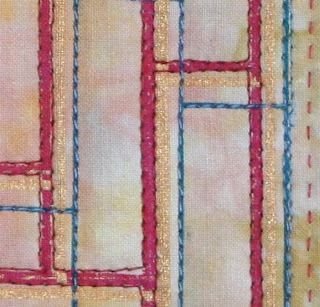 I loved the simpler ones, based on squares and rectangles. 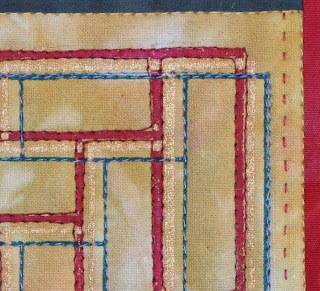 They inspired me with drawing this grid, which also makes me think a little bit of a log cabin block, courthouse steps style. I burned two thermal screens from my drawing. I found the marks on the first one a bit too thin, so I did a second one with thicker lines. I finally used them both for printing the central square panel, using red, gold and blue paint. Once I was happy with the printing, I added red and gold borders, with a touch of blue and green, because these are the colours I remember of Beijing. 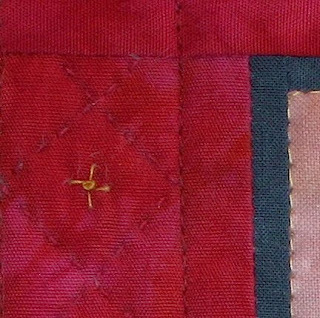 The piece is machine and hand quilted. 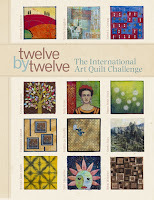 Please don't forget to have a look at the Twelve by Twelve blog to see the other 12x12 window quilts. This is such a beautiful window! It has a Japanese atmosphere and I see a labyrinth in it as well! I can imagine it’s giving you lots of ideas for other pieces! Your window is beautiful! It has wonderful little details all through it. I like these very much! Simple, but elegant! It's really beautiful. 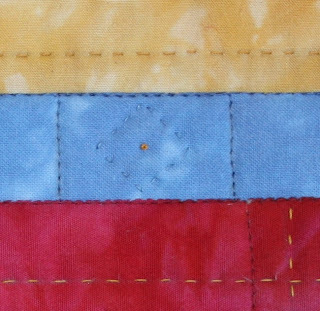 I love how you combined the hand & machine stitching. I also like that it is so meaningful to you. A nice memory. What a beautiful quilt and so atmospheric of Beijing. The patterns and colours are so harmonious. Absolutely beautiful Francoise and so much detail as well. It turned out really well, Francoise! I would like to present you with a Kreativ Blogger Award. Just go to my blog and copy the award if you're interested. Oh, this is gorgeous, Francoise!! It does make me think of China. Another wonderful quilt Francoise, a real feeling of the Orient. 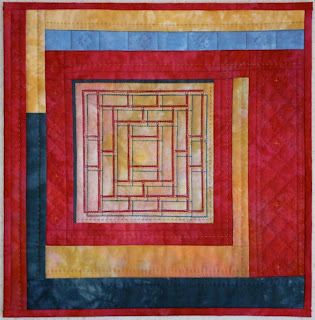 I really like this quilt - I love the way you quilted it. I love this pattern very much! I wish I knew how to make quilt.